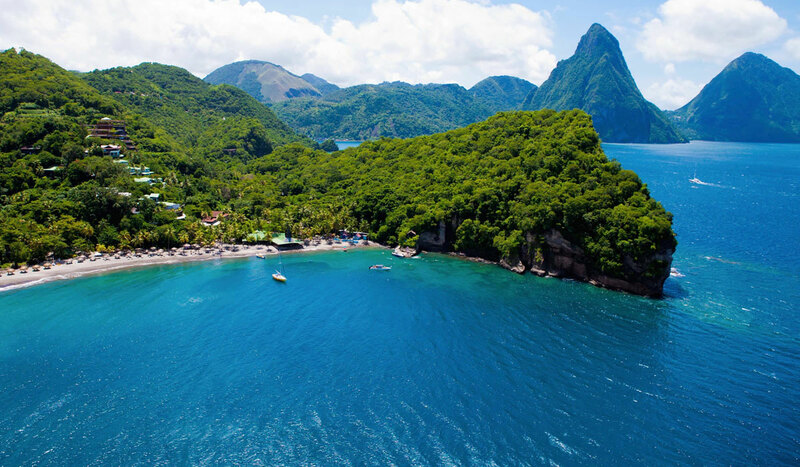 St. Lucia’s iconic Pitons as seen from Jade Mountain resort. Considering a Caribbean escape this summer? A St. John–based insider recommends these 10 islands in the Lesser Antilles, where pristine white-sand beaches and sparkling waters beckon. The smallest of the three main U.S. Virgin Islands is arguably the most beautiful of the group, with expanses of unspoiled beaches and picturesque hiking trails accented by 19th-century ruins and sweeping ocean vistas. Two-thirds of the island is national parkland, while offshore, more than 50 square kilometers of submerged reefs and sea-grass beds are preserved as the Virgin Islands Coral Reef National Monument. SLEEP Created by Laurance Rockefeller six decades ago, Caneel Bay Resort (1-340/776-6111; doubles from US$510) boasts seven gorgeous beaches, a top-notch Italian restaurant (Zozo’s), and an understated elegance that harkens back to a simple mid-century luxury. EAT One of the best sunset views on the island perfectly complements the innovative “island to table” cuisine turned out by Shaun Brian at his Cruz Bay restaurant Ocean 362 (1-340/776-0001). The chef puts a gourmet spin on West Indian dishes like curried cauliflower fritters and grows or forages many of the ingredients himself. 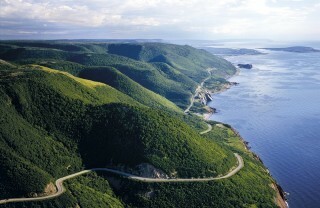 DO Hike the Ram Head Trail, a scenic three-kilometer round-trip trek along the island’s southeastern peninsula. chic boutiques and superb dining establishments. SLEEP Hotel Le Toiny (590-590/278-888; doubles from US$742) on St. Barts’ quiet southeastern coast is an ideally situated five-star resort—far enough away from the bustling scenes of Gustavia and the Baie de St. Jean for a true retreat, yet not so removed that you can’t easily drop in on the party scene at Nikki Beach et al. EAT Newcomer Orega (590-590/524-531) serves artfully plated Japanese-French fusion dishes that have rightly garnered rave reviews. it with a snorkeling or diving excursion or even via a semi-submersible craft. 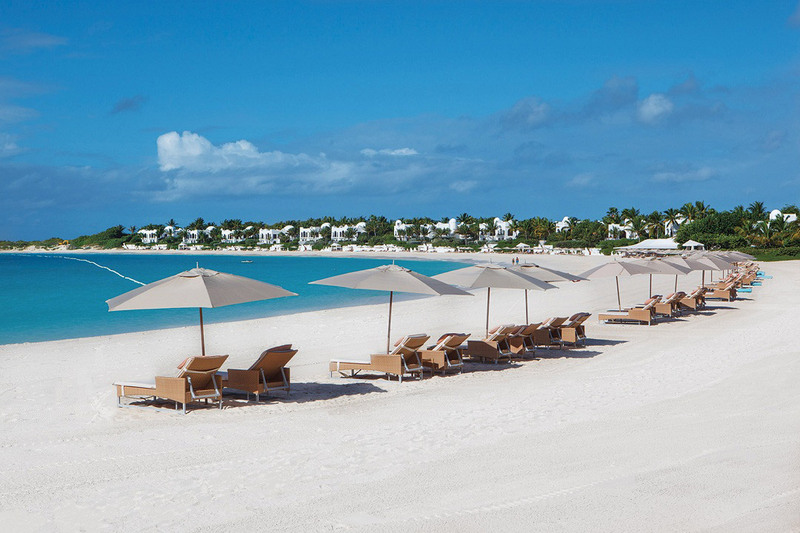 The beach at Anguilla’s Moroccan-inspired Cap Juluca. The northernmost island of the Leeward Islands, this British territory is luxurious and laid-back in equal measure. It also boasts 33 quintessentially Caribbean beaches—long expanses of soft white sand lapped by an electric-blue ocean. SLEEP Cap Juluca’s (1-264/497-6666; doubles from US$595) gleaming white Moroccan-influenced cottages line the beach at Maundays Bay, with a view of the volcanic hills of St. Martin beyond. EAT Meads Bay’s Straw Hat Restaurant (1-264/497-8300) serves the island’s tastiest lionfish, an invasive species that appears on the menu—grilled, pan-seared, or as a ceviche—whenever supply allows. DO When in Anguilla, head to the beach. Rendezvous Bay has earned the most acclaim, but for something more off-the-beaten-path yet just as beautiful, seek out the peaceful strand at Cove Bay. 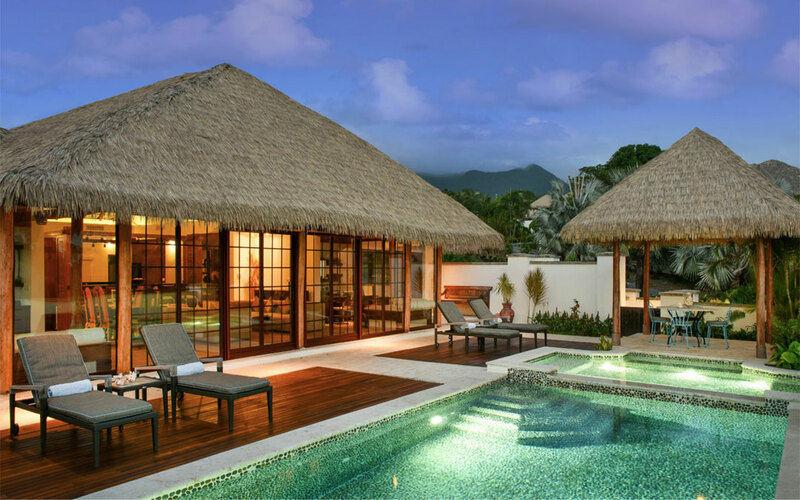 One of seven Balinese-inspired villas at Paradise Beach Nevis. This may be the smaller part of the dual-island nation of St. Kitts and Nevis, but it’s certainly not short on attractions. Apart from a handful of gorgeous beaches and the charming island capital of Charlestown, these include a heady dose of history: American founding father Alexander Hamilton was born here, and British naval hero Horatio Nelson was among Nevis’s early visitors. US$876) have an understated elegance in their Balinese-style decor, along with views of Nevis Peak and, just across the water, St. Kitts. They provide both privacy and proximity to ever-popular Pinney’s Beach. EAT Set in a 300-year-old converted sugar mill, Mill Privée (1-869/469-3462) has a unique ambience to say the least. Italian chef Cristian Bassi’s skill shines in the restaurant’s six-course, wine-paired tasting menu of contemporary Caribbean dishes. DO There are no less than 25 distinct historic sites on Nevis including churches, sugar plantations, and forts. Take in each of them via the Nevis Heritage Trail, a signposted driving route that circumnavigates the island. With a beach for every day of the year, Antigua presents an ideal Caribbean escape. This island is on the larger side compared to its counterparts; at almost 300 square kilometers, you will find your perfect stretch of sand here. SLEEP Situated on its own private islet off Antigua’s northeast coast, Jumby Bay (1-268/462-6000; doubles from US$1,095, all-inclusive.) 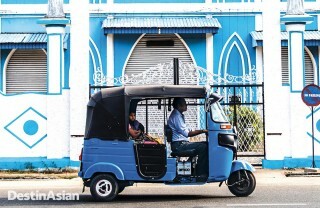 reopened as a Rosewood-managed property six years back following an 18-month, US$28 million overhaul. 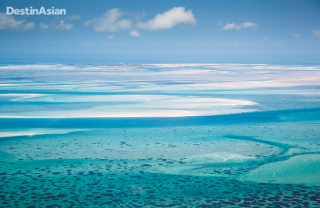 Fronting a powder-soft beach of white sand, it offers a level of tranquility and peacefulness that’s hard to beat. EAT Back on the mainland, Sheer Rocks (1-268/464-5283) at Cocobay Resort pairs Mediterranean dishes with sublime views. Be sure to book your table several days in advance—a meal here is an experience coveted by many. DO Get up close and personal with marine life at Stingray City (1-268/562-7297), where you can swim with docile southern stingrays. 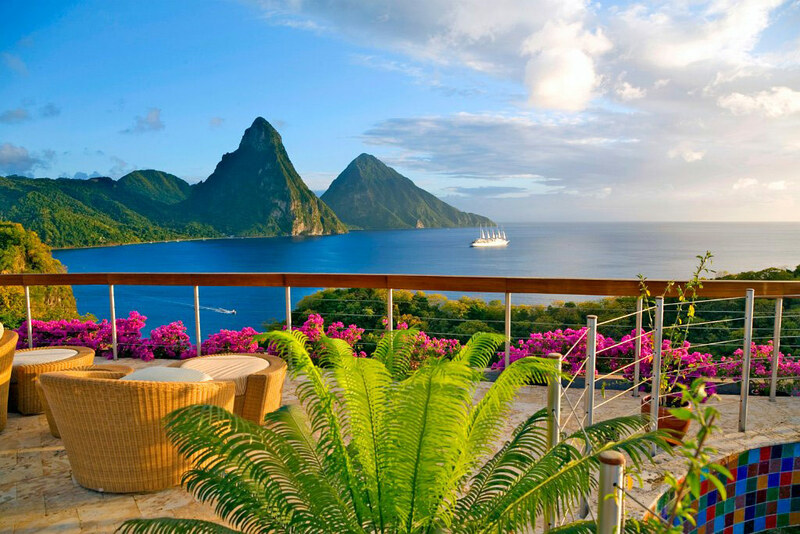 An overview of Jade Mountain resort, St. Lucia. Heaven and earth meet in St. Lucia, whose two magnificent volcanic peaks—the Pitons—rise sharply from sea to sky, maxing out at around 900 meters. 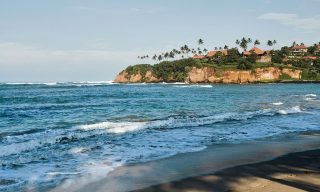 Black-sand beaches, serene cocoa plantations, and sleepy Creole villages complete the picture. SLEEP Jade Mountain (1-758/459-4000; doubles from US$1,080) exudes romance with stunning vistas of the Pitons, best viewed from your own private infinity pool at one of the hillside resort’s 24 open-air suites. EAT Any meal that starts with a boat ride is sure to be unforgettable. A small ferry brings you to Marigot Bay and the welcoming staff at Rainforest Hideaway (1-758/286-0511), where an inventive Caribbean menu relies on fresh local ingredients. Save room for dessert—the various cheesecakes and crème brûlées should not be missed. DO The Pitons beckon, and yes, you can—and should—conquer one. Though the smaller of the two is not recommended for visitors due to its steepness, plenty of experienced guides like those from Real St. Lucia Tours (1-758/486-1561) are available to take you up Gros Piton, where the awe-inspiring view only adds to the rush of a successful ascent. As one of the most popular and developed islands in the Caribbean, Barbados has it all: gorgeous beaches, a plethora of fine dining ex-periences, a UNESCO-listed capital (Bridgetown), and a captivating culture. SLEEP Sandy Lane (1-246/444-2000; doubles from US$1,300) on the west coast is the gold standard for luxury, with three golf courses and an unmatched level of service. EAT Reserve a table for sunset at cliff-top Champers (1-246/434-3463) and listen to the waves roll in as you enjoy specialties such as coconut shrimp and parmesan-crusted barracuda. DO Spend a day at boulder-strewn Cattlewash Beach on the island’s rugged east coast, where you can soak in natural rock pools while watching board-riders take on the waves at this challenging surf spot. 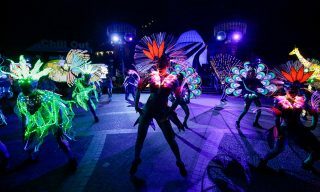 And if you’re in Barbados on August 1, head to Bridgetown to see the Carnival-esque costume parade of Kadooment Day, the culmination of the Crop Over festival season. One of the 32 islands comprising St. Vincent and the Grenadines, Mustique is small, exclusive, and long revered as an celebrity hideaway. SLEEP Private villas predominate on the island, but for an unparalleled resort experience, book one of the suites or cottages at The Cotton House (1-784/456-4777; doubles from US$520), a five-hectare estate rising up the hill from Endeavour Bay. EAT At the heart of Mustique’s social scene is Basil’s Bar (1-784/488-8350), a former rum shack perched on stilts over the Caribbean Sea. Order the grilled lobster and a Hurricane David cocktail and keep your eyes peeled for celebrities, including the famed host, Basil himself. The Wednesday night barbecue pulls in a particularly a fun crowd. DO Saddle up and explore the island by horseback with the Mustique Equestrian Centre (1-784/488-8316). 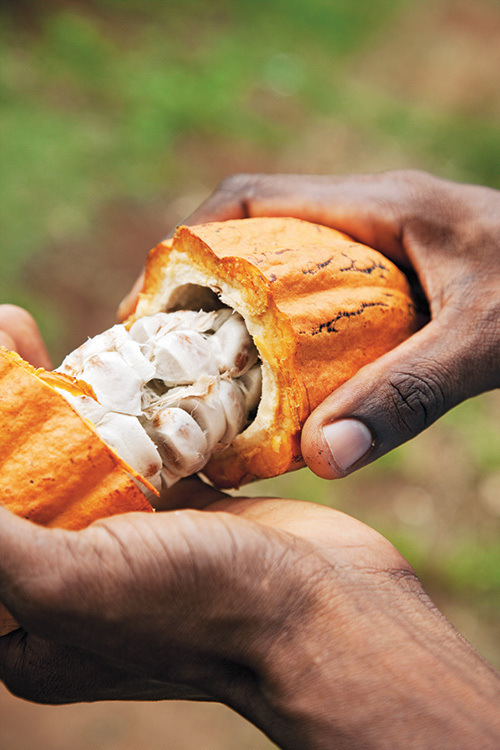 The Grenada Chocolate Company produces fine dark chocolate from organically grown cacao. Unspoiled beauty reigns in Grenada. From thriving marine life to rolling green hills to hiking trails, rivers, and waterfalls, the Caribbean’s nutmeg-scented “Spice Island” is a nature-lover’s paradise. SLEEP Spice Island Beach Resort (1-473/444-4258; doubles from US$1,145, all-inclusive) is a small family-run property on Grand Anse Beach. Opt for a beach suite, where you can lounge in a hammock on your patio just steps from the sand. EAT The gentle murmur of waves and melodic steel pan music provide the soundtrack at the elegant, dinner-only Rhodes Restaurant (1-473/444-4334) in St. George’s, the island capital; daily specials change depending on the catch of the day. DO Tour the Grenada Chocolate Company (473-442-0050) for a taste of the island’s best organic chocolate, all of which comes from a cooperative of local cocoa farmers. 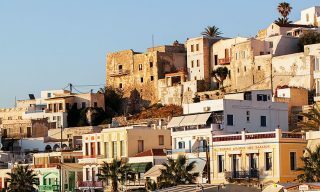 This Dutch island is home to an adorably colorful capital and a singular cultural milieu that melds elements from Africa, the Netherlands, Asia, Latin America, France, and more. 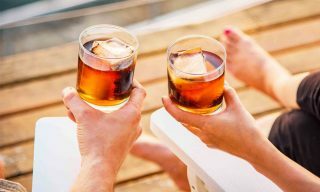 Often overshadowed by neighboring Aruba and Bonaire and known primarily for its namesake blue liqueur, Curaçao could be one of the best-kept secrets in the West Indies. SLEEP Located outside Willemstad on a pristine beach dotted with cabanas, Baoase (599-9/461-1799; doubles from US$595) is a vibrantly landscaped property whose gracious and accommodating staff complement the warm, inviting Balinese-accented accommodations. list and perfect pairing suggestions. DO Curaçao really shines below the surface. Dive off Playa Kalki at a reef nicknamed Alice in Wonderland for its curious and colorful marine life. This article originally appeared in the June/July print issue of DestinAsian magazine (“Lesser is More”).